For the last 10 years, Compassionate Pug Rescue has been dedicated to helping pugs that are in need of homes in the South Florida area. Each pug that comes into CPR’s care gets a full medical screening, all the medical care they need and then they are matched with a perfect forever home. The work at times is very tiring, but what fuels the volunteers of Compassionate Pug Rescue are wonderful happy endings and the special bonds formed with the pugs in their time of need. Just like the spirit of the pug, the love of the volunteers knows no bounds. And that is why CPR has branched out and has started to help dogs in danger of being put to sleep of different breeds. Pug lovers are dog lovers and it is hard not to offer a helping hand when a dog of another breed desperately needs care. So from time to time, you may see dogs on the site that are not pugs. CPR will use all the resources available to the pugs to help find these dogs loving forever homes. It’s just the pug thing to do! The pugs brought into CPR’s care have a variety of backgrounds. 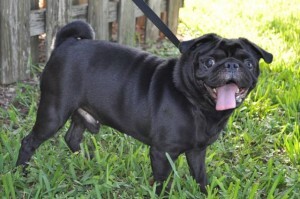 Some pugs are surrendered by their owners due to difficult family situations. Others have been severely neglected or make their way to CPR via Animal Control. Regardless of the past, all the dogs that are taken under CPR’s wing have one thing in common – a bright future. When CPR receives a new pug, he or she is immediately given a health screening. Any medical conditions discovered are quickly treated. Then each pug is carefully matched with a family that has filled out an extensive adoption application. Volunteers make sure that the lifestyle of each family fits the personality of the pug. After a suitable match is found, the pug is on its way to its new forever home and off to live the pampered life that every pug deserves.